Catholic Evangelization through Scripture and Prison Ministry. Listen to a talk with Deacon Ken and Marie Finn on marriage and family life. 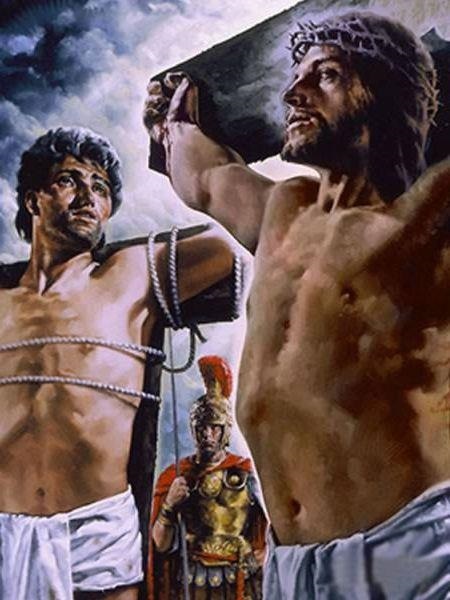 St. Dismas Guild is a Catholic non-profit (Publisher and Distributor) organization begun in 1989, whose mission is to bring Jesus Christ, the Word of God, to the broken, the lost and the lonely, the sick and the imprisoned. St. Dismas Guild is a prison, pro-life and pro-family, ministry in union with the magisterium of the Catholic Church. 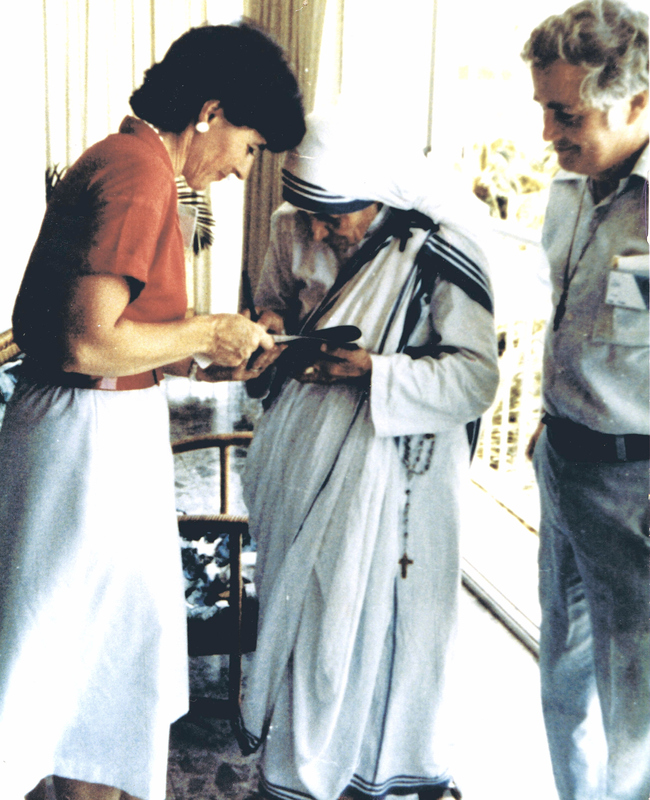 Inspired by Saint Mother Teresa of Calcutta, St. Dismas Guild began with the encouragement of (the late) Deacon Ken and Marie Finn to evangelize the poorest of the poor by writing and distributing Catholic books and materials Free of Charge to prisoners and to those who cannot afford them. We rely on donations and volunteer workers to make this Ministry possible but do not participate in fund raising events. St. Dismas Guild publishes and distributes teaching aids and commentaries on Holy Scripture, as well as other books and materials that promote Catholic family values. All our books are soft cover and are mailed in boxes or cardboard mailers, Library Rate and take up to 3 weeks to arrive. We receive hundreds of letters each month. When we receive a request, the person’s name is placed in our database and on our mailing list to receive a Monthly Newsletter and their letter is placed in our Chapel to be prayed for. We welcome personal testimonies and questions for our newsletter, although we cannot publish each one we receive. Currently we send out approximately 30 packages Each Week (standard package - Bible, Bible Study Workbook, Basic Catechism booklet, various pamphlets including the rosary prayers and a list of all our books) to prison facilities all across the United States and over 4,000 Monthly Newsletters. St. Dismas also offers a mentoring program, men to men and women to women only. Thank you for your interest in St. Dismas Guild. For Jesus to mount a colt that had never been ridden before, He allowed His disciples to help Him mount it. They even threw their cloaks over the colt. 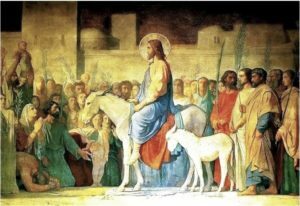 He rode into Jerusalem on a donkey instead of a horse symbolizing who He was, The Prince of Peace. The people placed their cloaks on the road as though symbolizing I am here for you. I’m with you Jesus. The multitude praised God aloud with joy for all the mighty deeds they had seen Him do. I just returned from Israel on a Pilgrimage with my Pastor. It was an eye opener for me to see the lack of peace among the people. There was a wall that separated the Jews and the Palestinians. There was little peace to be seen or in the voices of the people we visited. Yet I come back to my own country and see the same thing, the dividing wall of hostility. Yet I see peace among the faithful. I read this morning and meditated on Ephesians 2:11-22, All United in Christ. Applying this scripture by using my well-trained tongue to speak a word that will rouse the weary and humble myself by the mighty hand of God will give me peace. One of the highlights of my trip was carrying the cross on the road to Calvary, walking where Jesus walked. As I prepare to go into Holy Week, I will carry the same cross as Jesus did doing the will of our Father in an unbloodied way. I commit myself to do as He did. I know I will fall but I will get right back up and persevere in running the race. My scripture verse for Palm Sunday to memorize and live is John 14:27. How can I be afraid when God has gifted me with His peace?